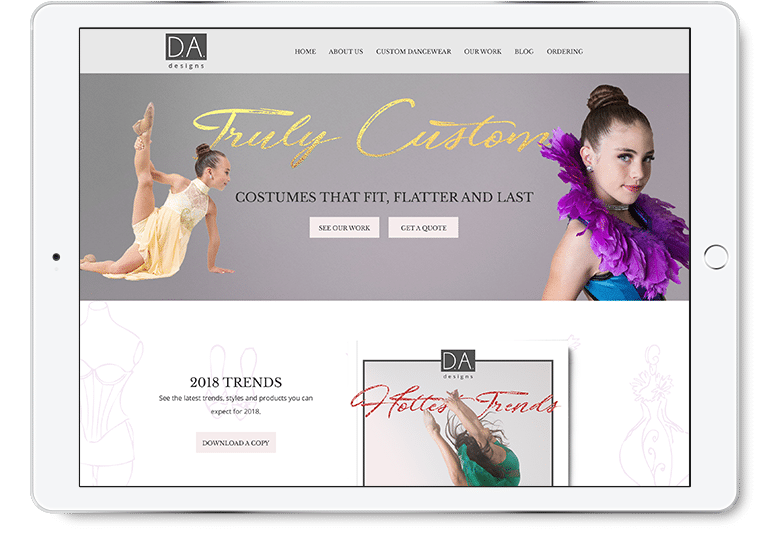 Custom dancewear demands a stylish, specialized brand identity. 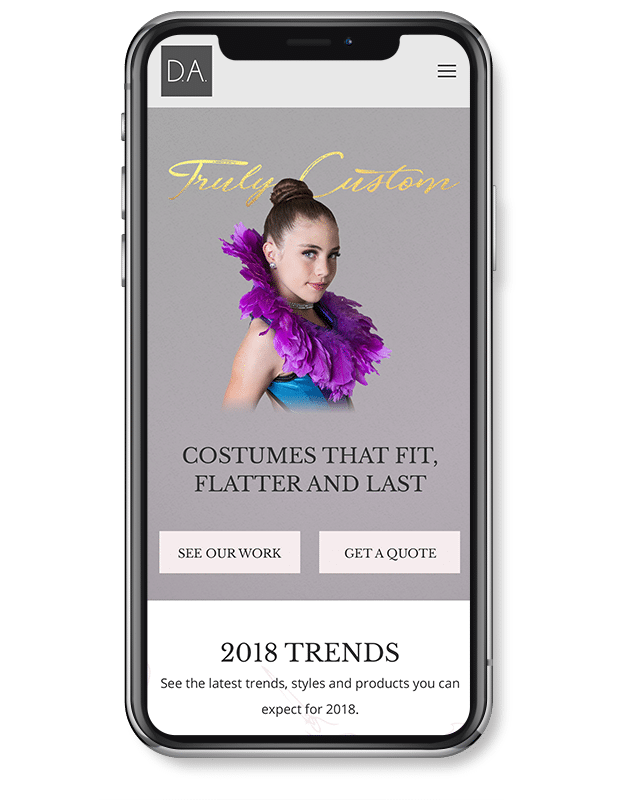 When a nationally recognized costume designer asked for help with their brand, it resulted in a complete overhaul, including an updated logo and identity system, website redesign, photography and digital marketing campaign. D.A. 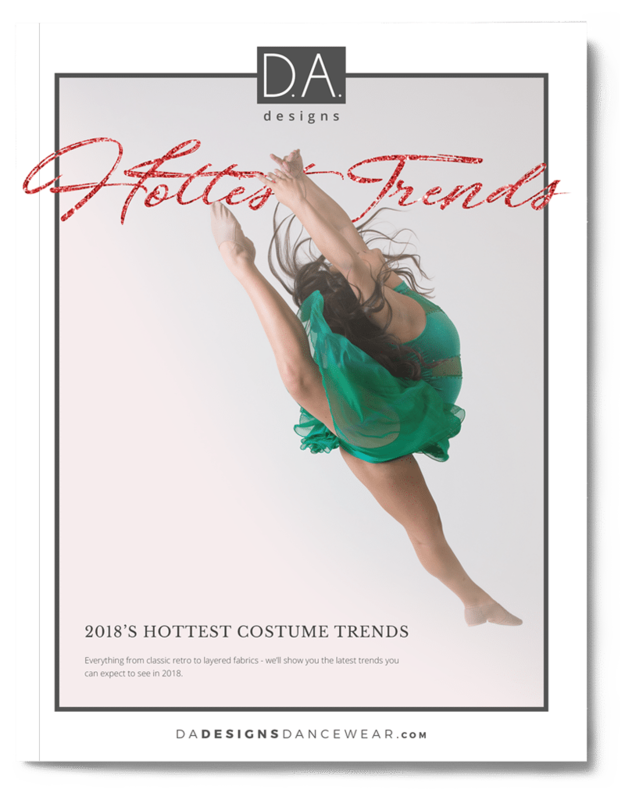 Designs is the only truly custom dancewear design company recognized by pro teams and dance studios across the USA. When Dennette (CEO) and Kaelin (Lead Designer) came to Butler for help with their brand, we spent a half day strategizing and discussing their overall business objectives, as well as how branding and marketing could help achieve them. D.A. Designs provides a high-end product. Their customers want the best, most unique and top-of-the-line dancewear. In order to convey this message visually, we needed to show beautiful, professional photography of some of D.A.’s signature pieces in an elegant, reserved and beautiful light. Their updated logo and identity system features an iconic, modern logomark that is memorable and versatile – able to be displayed on their website, as well as sewn on small garment tags. The system also uses handwritten typography to subtly convey D.A.’s focus on custom, handmade products. During our strategy session, we discovered that D.A.’s target audience visits their website primarily on mobile devices. Their redesigned website was built with mobile-first in mind. After D.A. Designs signed off on their new look, it was time to start marketing. Rather than run a bunch of “look at us” ads, D.A. wanted to set themselves apart as a true expert in their field – offering valuable resources and information to the customers they serve. During our strategy session, we collaboratively created a content calendar – identifying content that would be created over the next several months. This led to launching D.A.’s YouTube Channel, as well as a number of resources that would add value for their customers. Once the D.A. brand was positioned properly (conveying the right message to the right audience), it was time to get it in front of new people on the right channels. Using a mixture of SEO (Search Engine Optimization), content marketing, social media marketing and email automation, we developed a comprehensive marketing strategy for the purpose of generating new, sales-qualified leads. Increased organic ranking on search engines.